Python Tutor is a free app for Windows 8 and 8.1 which allows you to learn Python language at your convenience for absolutely free. 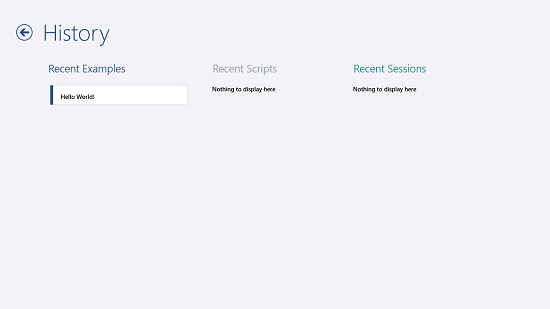 When you open up the app, you will be presented with an interface wherein you will be able to open up the script shell box, or you can also choose to see the examples which are presented on your screen in a tiled format. The app has a neat and uncluttered interface which makes it a treat to the eye and hence makes for a great free app which allows you to easily learn the Python language on your device. 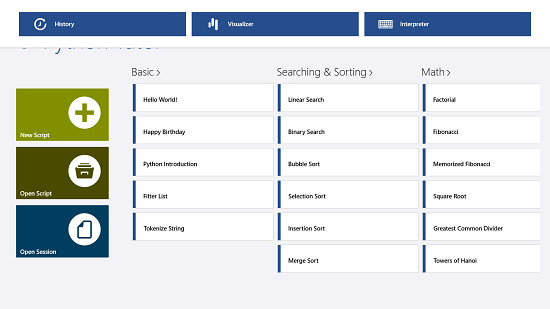 Python Tutor is available as a free download from the Windows App Store. When you open up the app, you will be shown the below interface. As you can see above, you can choose to create a new script, open an existing script (clicking on this will take you to the Python shell interface where you can run your Python commands) or open session (clicking on which will take you to the file browser screen from where you can open a saved session on your device). 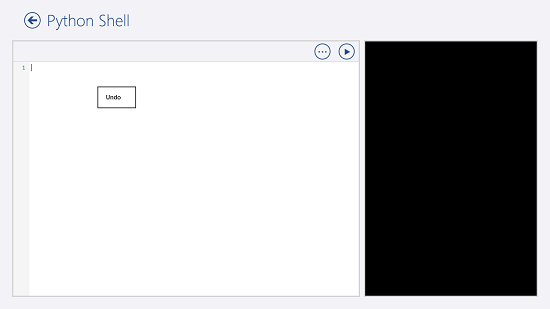 You can also see tiles of categorically sorted examples in the above screen where you can click on each tile to be presented with an interface where you can learn about the commands and the execution process of each command which is explained in a step by step process or manner. For illustration purposes, I opened up a simple Hello World program example. You can see the Python code at the top left, and you can also see the command execution process at the right side of the screen where you can click on the arrow buttons at the bottom of the screen to learn about the execution process of each command. Each command is explained in a nice fashion via arrows and detailed word explanation. A black box at the bottom left shows you when the program finally gets executed. You can access the control bars of the app at any time by right clicking on the screen. When you do so, you will be presented with the following three options at the top of the screen. History: Clicking on this button shows you the history of tasks that you have performed in the app. Visualizer: Clicking here takes you to the command line interface where you can build programs and execute them. 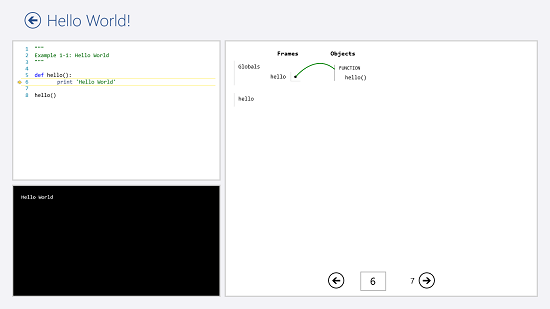 Interpreter: Side by side interface where you can see the execution of each line as you go. 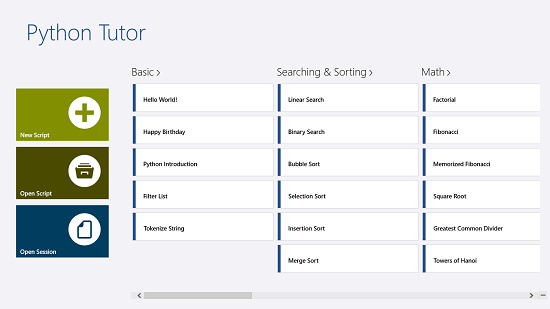 This wraps the main features of the Python Tutor app for Windows 8 and 8.1. Python Tutor is a pretty well designed app for Windows 8 and 8.1 which allows you to learn the Python language with ease on your device. The app is lightweight and makes for a great companion when you have to learn Python for some event, or simply to polish your coding skills.